Your trade fair appearance is more than just being there – use it as an opportunity to strengthen your market position and generate new business. There is a reason why trade fairs are considered the most important marketing tool! 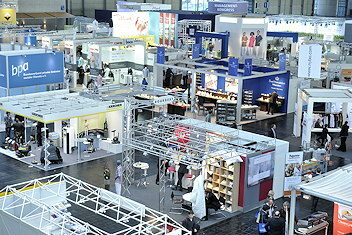 In order to optimise your trade fair appearance, we offer you the greatest possible support. From stand planning and stand construction to stand catering – we are there to help you. If you require any services that are not listed here, just contact us.